Not to be confused with Iligan. Ilagan, (Ibanag: Siudad nat Ilagan; Ilokano: Siudad ti Ilagan; Tagalog: Lungsod ng Ilagan), officially the City of Ilagan, is a 1st class city and capital of the province of Isabela, Philippines. According to the 2015 census, it has a population of 145,568 people  making it the most populous city in the province. With a total land area of 116,626 hectares (288,190 acres), it is the largest city in the island of Luzon and the fourth largest city in land area in the Philippines, after Davao City, Puerto Princesa and Zamboanga City. It holds the title as the most number of voters in the province with 88,413 voters. Ilagan was a first class municipality before it become a city. The town was then called by its native Gaddang settlers as Bolo during the pre-Spanish conquest era. It is one of the populous settlement during that period and site of the vast tobacco plantation in the region making it one of the most important economic areas in northern Luzon. Shortly after Juan de Salcedo conquered Northern Luzon in 1587, Gov. Rodrigo de Penalosa sent Capt. Pablo de Carreon to explore Cagayan Valley as well as to establish missions in towns. Among the Spanish missionaries who penetrated deeply into the region was P. Pedro Jimenez, who founded Ilagan. The town of Bolo was founded by the Dominicans in 1619 in honor of Saint Ferdinand of Castile. The old Bolo was situated in the western side of Cagayan River in what is known today as Barangay Naguilian-Baculod. The cultural shock brought by the dominating social and economic regulations introduced by the Spanish authorities propelled the natives to dissent in the Mallig and Ilagan-Tumauini territories in what was known as the Gaddang Revolution. The natives abandoned their settlement after burning their church and houses until 1622 when the Spanish government pardoned and exempted them from paying tribute within three years. After the Gaddang revolt, the natives re-established their settlement upon the efforts of Fr. Pedro Jimenez in 1678 on the east side of the river thereby giving the legendary name for Ilagan which is the reverse of the word Nagali meaning "transfer". The Dominicans accepted the settlement as an ecclesiastical mission given the name San Fernando de Ilagan in honor of its patron, Saint Ferdinand of Castile. On May 4, 1686, Ilagan was founded and missionaries converted the natives to Christianity. Ilagan was made the capital of Cagayan Valley when Brig. Manuel Sanchez Mira was then the governor of the whole territory. Ilagan was the scene of the 1763 revolt in Isabela led by Dabo and Marayag against the collection of tribute, the enforcement of tobacco monopoly committed by the friars during the Spanish occupation. Upon the separation of Isabela on May 1, 1856, Ilagan became the capital of the province. On August 4, 1901 the American occupation under the United States-Philippine Commission has enacted the Provincial Government Act 210 that has re-established Isabela and other provinces in the Philippines. Rafael Maramag, a former municipal president (mayor) of Ilagan was appointed as the first governor. The act then re-established Ilagan as the provincial capital. On November 13, 1925, Gaffud has approved a resolution filed by all "Municipal Presidents of the Isabela" (the counterpart of the present-day Mayors' League) following a four-day convention. The resolution called for the erection of a monument in honor of the country's National Hero José Rizal in the old Ilagan public plaza in Barangay Bagumbayan. By the turn of the 1950s the new Poblacion was located uphill from the old Saint Ferdinand Parish Church (formerly known as Saint Ferdinand Cathedral in Barangay Bagumbayan) to Barangay San Vicente; site of the current City Hall. During the Spanish colonization period, Ilagan applied to gain cityhood status from the Spanish Government but was unsuccessful. Ilagan could have been the second city of the Philippines after Nueva Segovia, now Lal-Lo, Cagayan. During the administration of then Mayor Paguirigan, but was shelved during the American occupation. On February 2, 1998, congress passed Republic Act No. 8474 which sought to convert Ilagan into a city. But the plebiscite held on March 14, 1999 turned down its bid for cityhood under the administration of then Mayor Uy. The majority of the people voted no in that event. During the administration of then Mayor Albano, Ilagan's cityhood status did not push through when the mayor was gunned down by three unidentified men in the night of June 27, 2006 in Quezon City. Mayor Albano used the term C-U-DAD Ilagan for campaigning the cityhood status of Ilagan. In 2012, led by then Isabela 1st District Representative Rodolfo Albano Sr., renewed its bid for its cityhood. Local officials of the town headed by then Mayor Josemarie Diaz, expressed support for the town's conversion into a city. On May 22, 2012, the congress approved the cityhood bill of Ilagan on its House Resolution No. 144 and was signed by then President Benigno Aquino III. Plebiscite was held on August 11, 2012, with a majority of votes voting "yes". By virtue of Republic Act 10169, Ilagan was then proclaimed as a new component city, the third in the province of Isabela and the fourth in Cagayan Valley on the same day by COMELEC Commissioner Armando Velasco. On August 11, 2015, marked another day in the history of Ilagan as the Department of Agriculture proclaimed the city as the new Corn Capital of the Philippines during its third cityhood anniversary. Former Sec. Proceso Alcala was represented by then Asec. Edilberto M. De Luna who travelled all the way to Ilagan to attend the momentous event. Since 2006, Ilagan was able to received several awards from the different government agencies during the leadership of then Mayor Josemarie L. Diaz. Through the efforts of the Local Government Unit (LGU) and the support of the Ilagueños. 15th Most Competitive City in Infrastructure nationwide. Ilagan is located on the central portion of the province of Isabela. It is bounded by 9 municipalities: on the north by the municipalities of Divilacan, Tumauini, and Delfin Albano; on the west by the municipality of Quirino; on the east by the municipalities of Divilacan, Palanan, and the Pacific Ocean; and on the south by the municipalities of Gamu, Naguilian, Benito Soliven and San Mariano. 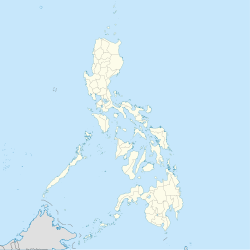 Ilagan is approximately 96 kilometres (60 mi) from Tuguegarao and 397 kilometres (247 mi) from Metro Manila (linked by a national highway via Santa Fe, Nueva Vizcaya). Of the total 1,166.26 km2 land area of Ilagan; 31% are agricultural, 36% are forest areas and the remaining 33% are build-up areas and open grassland areas that are available for industrial, commercial and residential uses. Of all cities in the country, Ilagan ranks as the top producer of corn. As an agriculture-based city, it produces ample supply of corn, rice, vegetables and legumes. Fruits like the banana are year-round products especially in the mountainous areas of the city. Ilagan also produces seasonal fruits such as mangoes and pomelo. The Cagayan Valley Research Center (CVRC) is the primary plant breeding institution in Region 02. It is located in Barangay San Felipe along National Highway. Ilagan has rich forest resources. Hectares of forest land are strictly protected by authorities like the Department of Environment and Natural Resources (DENR), several NGOs and the Local Government Unit. In the 2015 census, the population of Ilagan, was 145,568 people, with a density of 120 inhabitants per square kilometre or 310 inhabitants per square mile. The rapid increase of population in Ilagan is attributed to the current growth of economic activities specially in the sectors of Commerce, Industry, Agriculture and Housing. Ilagan is one of the 145 emerging cities in the Philippines with more than 100,000 residents. Statistics from the Philippine Statistics Authority show that Ilagan had a population 131,24311 in 2007, which increased to 135,174 people in the 2010 census making Ilagan as the most populous city in the province of Isabela and the second in Cagayan Valley after Tuguegarao. Ilagan's population is predominantly Roman Catholic. The Diocese of Ilagan has 39 catholic churches all over the province of Isabela. There are also Protestants, Baptist, Church of Christ, Adventists, Born Again groups, Victory Christian Fellowship, Latter Day Saints, Jehovah's Witnesses, Islam, and Philippine-based groups like Iglesia Ni Cristo and Ang Dating Daan that accounts to the city's population. These religious organizations have their own temples and churches sparsely located in the city. Some Ilagueños were converted to Islam where their mosque is found in Barangay Baligatan. Agriculture and fishery remains to be the main backbone of Ilagan's economy. There are almost 23,803 hectares that are basically cultivated land and 314 hectares are utilized for fish culture. However, the suitable farm area of Ilagan is 32,153.19 hectares potentials for crops, livestock and fish production. This figure shows that a significant percentage (24.99%) is not being fully utilized for agricultural production leaving them idle and under utilized. Commerce and trade is the second economic based income of the people of Ilagan. In the year 2006, statistics showed that there are currently 1,795 registered business establishments. For year 2000, commercial trade was at 1,996 revealing that there were more or less than 201 establishments that had been closed down within the period 2000–2006. There were even more establishments in 1995 with a total of 1,877 in all. The trend shows that from 1995 to 2000, there was a growth of 2.94%, but from 2000 to 2006 a decreasing growth rate of -1.75% was registered. Just like the past years, for the year 2006, commercial activities within the municipality are classified into wholesale, retail and service-oriented businesses. The industrial sector of the municipal economy comprises 210 establishments in year 2006 as compared with 207 in 2000. This reflects a 2.4% increase in industrial activities over a period of six years (2000–2006). The existing industries are mostly on a micro scale except for the Coca-Cola Bottlers Philippines, Inc. located in Barangay Guinatan which is the only significant employment generator within the locality at that time. Following the previous year's trend, industries currently operating are agro-industries, wood-based manufacturing or service-oriented industries. The commercial area includes areas which are occupied by public markets, wholesale and retail stores, restaurants, banks, shops and other establishments or structures engaged in commercial activities. The bulk of those who are engaged in trade and commerce are found in the public markets. The area covered by the commercial area is approximately 90.56 hectares or 2.62% of the urban core. The transformation of Ilagan into a fast growing municipality in Cagayan Valley became evident upon the assumption in office of then Mayor Josemarie L. Diaz, the re-structuring of the economic landscape of the municipality and the eventual transformation of its business climate into a business friendly environment successfully lured multi-national companies in investing their capitals into its market. Economic boom began to ingulf Ilagan with the entry of eight (8) banks and financial institutions in just a number of months. The Local Government of Ilagan responded positively with these developments by the enactment of legislative measures including the provision of the Investment Incentive Code which provided for tax incentives to investments. These measures eventually opened the flood gates for big investments to enter the local market that included the establishments of malls like the Northstar Mall and Talavera Square Mall that house the Savemore, Robinsons Supermarket, Puregold, Jollibee, McDonald's, Red Ribbon, Goldilocks, Mang Inasal, Greenwich, Chowking and many other stores. At present, Ilagan has one of the fastest-growing economy in the province of Isabela as well as in the whole Cagayan Valley over the past years. The city is the primary growth center and investment hub of the Cagayan Valley region due to the rapid commercialization and stabilization of the different sectors involved in its economy. It has two major public markets which is the old Pamilihang Bayan ng Ilagan located in Centro Poblacion (now called Xentro Market) and the multi-million pesos New Ilagan Public Market Complex in Barangay Baligatan. In front of the public market is a three-storey structure called as Ilagan City Mall, the first LGU-owned and operated mall in the city. The increasing number of market goers coming from the different regions of the city and adjacent municipalities, prompted city officials to facilitate the construction of the modern market. Ilagan is home to eighteen (18) banks which is primarily composed of universal, commercial, savings and rural banks. There are also thousands of commercial establishments composed of distributors, retail and wholesale. Pawnshops, lending companies, insurance agencies, cooperatives and other financial institutions are spread all over the city. There are several food and beverage companies in the City. The largest of which is the Coca-Cola FEMSA Philippines, Inc. (CCFPI), which operates a softdrink bottling plant in Barangay Guinatan. Another, is a vinegar and soy sauce fermentation company locally known as 'Best Choice', which is operated and owned by Robelly's Food Products and also the Jack Confectionery, which operates a wine fermentation plant. There are 15 bakeries/bakeshops and 1 ice cream/ice drop company. Aside from the increasing number of local cafés, restaurants and several multi-national fastfood companies opened their respective branch/es in the city. One major industry in Ilagan is furniture making. Several furniture shops, located along the National Highway in Barangays Alinguigan 2nd & Alinguigan 3rd, manufacture and sell furnitures made of quality narra wood. These barangays were dubbed as "Butaka City" of Ilagan, where the Guinness Book of Records' entry for the biggest lounge chair in the world, the Butaka, was manufactured. Ilagan became one of the largest producers of tobacco during the Spanish time. The Tobacco Monopoly have caused the valley to languish in poverty from 1785 to 1797. The lifting of the monopoly was caused by the heavy loss incurred by the government. A Royal Decree released in 1882 totally abolished the monopoly and attracted foreign capitalist to invest in the country. In Ilagan, the Compania General de Tabacos de Filipinas or the Tabacalera was established in 1881 and produced the famous La FLor de Isabela which was the largest company of its kind in the world at that time. The Tabacalera acquired two haciendas in Ilagan: the Hacienda San Antonio and Hacienda Sta. Isabela. At present, most of the industries in the city are agri-based. For the past ten years, there has been a great number of local investment in poultry and hog raising. At present, there are seven poultry contract growers and 33 small and medium scale hog raisers in Ilagan. Other support facilities, warehouses and small rice mills, strategically located in different barangays of Ilagan address the storage needs of farmers during the harvest season. There are 9 motor vehicle assembly shops in Ilagan; 5 jeepney assembly shops and 4 tricycle side-car makers. These motor vehicle assembly shops respond to the increasing need for transportation service in the city. Ilagueños today reflects a combination of indigenous, Chinese and Hispanic descent. The core community was composed of tribes notably the Agta, Ibanag, Gaddang, Yogad, and Kalinga which mirrors the habitation of the Philippines believed to have started 26,000 years ago with various strains of Aetas, then Indonesians coming 5,000 years ago and the Malays in droves starting of Aetas, then Indonesians coming 5,000 years ago and the Malays in droves starting 200 years B.C. up to 1500 A.D. Trade and cultural relations with Chinese preceded the 16th century incursion of the Spaniards. Ilocanos who already developed their own distinct traits were recorded to have migrated massively in the 19th century owing to the accessibility of the land and vast opportunities in the area straddling from the present day provinces of Cagayan and Nueva Vizcaya. It was proclaimed a province by a Royal Decree and Named Isabela de Luzon on the first day of May in 1856. The present day Ilagan is an area that was detached from the old province of Nueva Vizcaya. The first municipal president of the town, Rafael Maramag, added luster to the history of his hometown by becoming the first governor of the province of Isabela after its reorganization by the Americans in 1901. Since then, the fortunes of Isabela as a province and Ilagan as a town followed a similar path to the rest of the country's history as a commonwealth nation and as a free republic in 1942, the Japanese occupation, liberation, political and military independence to this day. Ilagan today, acknowledged as the corn capital of the country lives its economic boom while playing a vital contributory role for the province of Isabela as its capital since its creation as a province. To the predominantly agricultural economy of the province of Isabela, the city adds the vigor of its trade, commercial and cultural life. Aggaw na Ilagan or Ilagan Day is celebrated annually every May 4. It was the date when Ilagan was founded as a town. Binallay is a native rice cake prepared year-round in Ilagan. It was during the administration of then Mayor Albano that Binallay Festival became the official festivity of Ilagan but was later replaced by the Mammangui Festival. Cityhood Anniversary - Celebrated every 11th day of August. The city government celebrated the first anniversary of Ilagan's cityhood charter in 2013. Mammangi Festival- Celebrated during the last week of May; Mammangi is an Ybanag word meaning the harvest or planting of corn. It honors the farmers who are the real foundation of Ilagan's economy and is celebrated as a thanksgiving activity for a good harvest. In 2011, General Ordinance No. 33 promulgated during the administration of then Mayor Diaz ordained Mammangui Festival as the official festivity of Ilagan to be celebrated on the month of May. Patronal Fiesta – As a predominantly Catholic nation, the culture of observing the feast days of the most venerated Roman Catholic icons are common and widespread in the Philippines. In Ilagan, the city celebrates the feast day of its patron, San Fernando, every 30 May. Balai na Ilagan has been set up to give a communal space of Ilagueños with the aim to nurture artistic talents of residents and to provide a multipurpose hall within the diocese of the Roman Catholic Church. Balai na Ilagan is intended to celebrate arts and culture in the province of Isabela. Ilagan Sanctuary – Ilagan's major tourist attraction is the Ilagan Sanctuary also known as the Fuyot Springs National Park located in Barangay Santa Victoria. It is popular for hikers, mountaineers, spelunkers and birdwatchers who come to explore its mountain trails, caves, odd rock formations and aviary. Established in 1938 with an area of 819 hectares (2,020 acres). Santa Victoria Caves – The Santa Victoria Caves are more than 12 Philippine limestone caves that are found in the foothills of the Sierra Madre Mountain Ranges. The caves are known for their unusual rock formations, sparkling rocks, and subterranean waterfalls. It is believed to have been occupied by the nomadic Agta or Dumagat people in the past. The caves are located within the Ilagan Sanctuary, which is part of the Fuyot Springs National Park (FSNP) in the eastern region of Ilagan. This area is included in the Palanan Wilderness Area or Northern Sierra Madre National Park in the province of Isabela in Cagayan Valley. Pinzal Falls – Another major attraction located within Ilagan Sanctuary. Tourists visiting Pinzal falls will enjoy the relaxation it offers. Abuan River – Abuan River is the Philippines’ Next Big Whitewater Destination. The sixty-five kilometres (65 km.) Abuan River is the main river channels inside the 50,625 hectares Abuan Watershed located in the city. The headwater of the said river is located inside the Northern Sierra Madre Natural Park which is one of the richest and remaining virgin forest in the country and from within it is a verdant vision of plant and animal life – where Philippine eagles (Pithecophaga jefferyi) soar. Tourists and visitors can also try intense activities like water rafting, kayaking and wall climbing to enjoy the breath taking experience that this place offers. Burmurbur Falls – A hidden fresh water haven recently discovered in Barangay Sindon Bayabo. World's Largest Butaka – The Butaka (Armchair) was built in 29 days at the cost of ₱175,000 with a total of 1,762 board feet of seasoned narra, 1,740 foot-1 inch diameter of rattan; it is 11.4 feet tall, 9.70 feet wide and 20.8 feet long and weighs 2,368 kilos, now on display along Maharlika highway beside Bonifacio park. Balay na Maguili or Balai na Ilagan and Friendship Hall located beside the Rizal Park and serves as a multi-purpose space to nurture the artistic talents of locals. It is the headquarters of Stewards and Friends of Ilagan Incorporated, an NGO assisting the city government in its socio-tourism efforts. The Balay na Maguili is an arts hall where music lessons are taught to children. The chapel inside the compound is a well-preserved 18th century structure. Saint Ferdinand Parish Church is known to house one of the oldest bells in the region. The church is dedicated to the patron saint, San Fernando. The church was formerly known as the Saint Ferdinand Cathedral before the episcopal seat of the Roman Catholic Diocese of Ilagan was transferred at Saint Michael the Archangel Cathedral in Gamu, Isabela. The church is located in the heart of the city and stands beside the St. Ferdinand College. Coca-Cola FEMSA Philippines Plant is one of the industrial complexes in the region frequently visited by excursionists to learn about the mechanized processing system of one of the country's favorite soft drinks. Isabela Provincial Capitol in Barangay Alibagu is the seat of power of the present day Isabela. It houses the offices of various national line agencies. In front of the capitol is an open-air amphitheater recommended for evening activities. Isabela Museum and Library was inaugurated last May 11, 1999 and is housed at the old capitol building in Barangay Calamagui 2nd. It is the repository and custodian of the rich historical and cultural heritage of Isabelinos. It features a gallery exhibit-collection of artifacts, fossils, heirloom pieces, visual arts, dioramas and other historical documents. It is open on weekdays. Ilagan Japanese Tunnel is a village that lets visitors travel back to the Japanese occupation. It is located in Barangay Santo Tomas. DA-CVRC Agro Eco-Tourism Farm is the first agri-tourism farm site in the Cagayan Valley region duly recognized and accredited by the Cagayan Valley Research Center (CVRC) under the Department of Agriculture (DA) and the Department of Tourism (DOT). The project is aimed to promote the country's abundance of natural resources, biological diversity and strong cultural heritage. The city is well positioned for agri-tourism since farming is considered as an integral aspect of the people's culture. Mammangui Park - it was the former Development Bank of the Philippines (DBP) Triangle in Barangay Baligatan. This park was established by the city government to acknowledge the efforts of Ilagueño farmers for being the backbone of the local economy which made Ilagan as the top corn producer in the Philippines. Rizal Park – a replica of the original Rizal Monument in Luneta. At the back of the park is an open-air mini concert ground for small and minor events. It is strategically located in front of the Saint Ferdinand Parish Church and Balai na Ilagan in Barangay Centro Poblacion. Elpidio Quirino Park – a monument built in honor of the former Philippine President Elpidio Quirino. It is located in front of the Ilagan City Hall in Barangay San Vicente. Bonifacio Shrine or Butaka Park - this monument was built in honor to the Father of the Philippine Revolution, Andrés Bonifacio. It is also known as the Freedom Park where various groups exercise their freedom of expression. It also houses the world's biggest Butaka or armchair which was brought to Intramuros, Manila during the first WOW Philippines exhibit. It is located along the National Highway in Barangay Baligatan. Queen Isabela Park – the newest and the biggest park/monument found within the city that features a world class ambience and one of a kind architectural design of a great monument in honor of Queen Isabela II of Spain. The Queen Isabela Park is a culture and arts open air amphitheatre which is the biggest LGU-built arena in the country. Located in front of the Isabela Provincial Capitol in Barangay Alibagu along the National Highway. In 1993, Ilagan hosted the Palarong Pambansa (National Games) and in 2011 the SCUAA National Olympics. It was held at the Isabela Sports Complex. The sports complex was erected by the National Government and local officials during the presidency of Fidel V. Ramos as a permanent facility for the province of Isabela, in Barangay Alibagu, Ilagan, the capital. The impressive facility of 50 hectares, on which has built a stadium with a 39,000 seating capacity, likewise has an athlete's village for housing participants. Some of the houses for the athlete's village were donated by certain civic-minded citizens and organizations who were approached by the officials of the province through the initiative of the late former Isabela Governor Benjamin G. Dy. The complex is also equipped with a basketball court, volleyball courts, swimming pool, badminton and tennis courts, sepak takraw court, oval rubber track and a baseball field. The City of Ilagan Sports Complex (formerly called as Paguirigan Memorial Athletic Stadium) is a sports facility equipped with new modern rubber track, Basketball, Volleyball, Badminton and Tennis courts, concrete bleachers and a new swimming pool that was built to accommodate major sports and athletic events such as the Cagayan Valley Regional Athletic Association (CAVRAA) meet held in 2016 and 2017. It was the chosen venue by the Philippine Athletics Track and Field Association (PATAFA), Inc. for the 2017, 2018 and 2019 Ayala Philippine Athletics Championships, 12th and 14th South East Asia Youth Athletics Championship and the 2017 Philippine National Open Invitational Athletics Championship, where world class athletes from Thailand, Indonesia, Malaysia, Singapore, Vietnam, Cambodia, Timor Leste, Laos, Brunei, Sri Lanka, Hong Kong, Fil-Am contingent, Philippine Team and the host City of Ilagan team participated in the said event. It is the first city outside Metro Manila to have hosted the championships for two (2) years in a row, first and only Philippine city in this decade to have an International Association of Athletics Federations (IAAF) certified track and field competition venue, first host city to stage the international format of athletics competition and the first host city to have organized the championships integrating entertainment and the thrill of sports competition. In January 11, 2019, the Philippine Sports Commission (PSC) announced that Ilagan will be hosting the 2019 Batang Pinoy Luzon qualifying leg sports competition; it was held in March 16 – 23, 2019. Batang Pinoy is a national competition for athletes under fifteen (15) years old and was established through Executive Order No. 44 which was signed by then President Joseph Estrada on December 2, 1998. The City of Ilagan Community Center is a government facility that was built to accommodate indoor events such as Basketball games, Badminton and Volleyball tournaments, cheerdance competitions, concerts, and other important activities. It is now fully airconditioned. Table Tennis is also a popular sport in the city. It is played regularly in Ping-Pong Central located in Francisca Village, Barangay Baligatan and hosted by Table Tennis Association in the City of Ilagan (TATAC-Ilagan). Regular ranking tournament is held monthly among residents of Ilagan. Open tournament is held annually. The only Golf course in Isabela is located in Ilagan. This Golf course has produced several World Junior Golf Champions. The SK Federation in Ilagan has a yearly basketball tournament for the youth of the city. Ilagan, belonging to the 1st Legislative District of the Province of Isabela, is governed by a City Mayor designated as its Local Chief Executive and by a City Council as its Legislative body in accordance with the Local Government Code. The City Mayor, City Vice Mayor, and the City Councilors are elected directly by the people through an election which is being held every three (3) years. As component city of the Province of Isabela, government officials are voted by the residents of the city. The provincial government still have political jurisdiction over local transactions of the city government. There were 28 municipal mayors during its municipal period since 1904. Its first city mayor is Josemarie L. Diaz, DMD from 2012–2016. Ilagan City is politically subdivided into 91 barangays, the most number of barangays in the province. Each barangay consist of 7 puroks and some have sitios. Currently, there are 12 barangays in the city that are considered urban. Barangays in Ilagan City are grouped into 4 clusters, namely Centro Poblacion Cluster, Northeastern Cluster, San Antonio Cluster, and Western Cluster. Note: Italicized names are former names, except for Barangays Cabeseria 2 to Cabeseria 27 where their names can be interchanged or both are used respectively. Ilagan is linked by a national highway called Maharlika Highway (designated as Asian Highway 26, AH26 by Asian Highway Network) The highway starts at Barangay Alibagu and ends at Barangay San Juan. On-going road constructions are the Ilagan-Divilacan road and the Ilagan-Delfin Albano-Mallig Road which are expected to be completed in five years and the former later this year 2013. Ilagan's longest bridge is the Malalam Bridge in Barangay Malalam going north. In 2014, the city government inaugurated the Baculud Overflow Bridge that connects the poblacion area to the northeastern barangays going to Tuguegarao. However, in 2016, the structure was damaged by flood brought by the torrential rain when Typhoon Haima or locally known as Super Typhoon Lawin struck the provinces of Isabela and Cagayan. The authorities had to close the bridge until the completion of its rehabilition which began in 2017. On February 19, 2015, the Lullutan Bridge was opened to the public local by the local government. On April 7, 2015, then President Benigno S. Aquino traveled to Isabela to lead the inauguration of the new bridge, which connects the east and west banks of the Cagayan River. It is expected to connect the city's western barangays and nearby municipalities of Delfin Albano and Tumauini. Before the construction of the new bridge, residents have to use barges to transport agricultural products to the market. With its completion, residents would no longer have to pay barge fees, and travel time between barangays on either side of the river has been cut short drastically. The bridge in Sta. Maria (Cabiseria 8) was completed and opened to the public in 2015. Road concreting and widening, creation of diversion and circumferencial roads and farm to market roads were prioritized by the national and city government to help mobilize the transportation goods and delivery of basic services within the city's jurisdiction and neighboring municipalities. The construction of an 82-kilometer Ilagan-Divilacan Road through the protected Sierra Madre mountains is on-going to open access to the coastal towns of Divilacan, Palanan and Maconacon. The approved budget contract of the project amounting to P1.5B, will pass through the foothills of the 359,486-hectare Northern Sierra Madre mountain ranges and will take four years to complete. The project will improve an old logging road used by the defunct Acme Logging Corp. until the 1990s. It will start in Barangay Sindon Bayabo in Ilagan and will end in Barangay Dicatian in the coastal town of Divilacan. The project is started in March 2016 and it will be completed in 2021. There are 29.313 kilometres (18.214 mi) of concrete road out of 24.56 kilometres (15.26 mi) of national road that passes through the city. Other road networks are 33.005 kilometres (20.508 mi) provincial roads, 8,909 city streets and 269.713 kilometres (167.592 mi) of barangay roads. Ilagan is accessible by all means of land transportation. From the Poblacion to the 91 barangays and five adjacent municipalities. Regular jeepney trips are from 6:00 am to 9:00 pm. Tricycles are available 24 hours a day. Ilagan is the only place in the Cagayan Valley Region that considers jeepneys as one of the primary means of public transportation within its vicinity and neighboring municipalities. There are 432 Jeepneys used as the major public transportation in Ilagan with corresponding routes from (Centro-Calamagui-Alibagu-Upi junction-Guibang vice versa), (Centro-Calamagui-Bliss Village-Salindingan vice versa), (Centro-San Antonio region vice versa), (Centro-Bintacan vice versa) and neighboring towns (Ilagan-Gamu-Burgos-Roxas vice versa), plus 4,000 tricycle units and few bus companies. Each company operates a fleet of air conditioned buses with daily trips to Manila from their respective terminals. Several bus companies also use the Ilagan route from Tuguegarao City and Northern Isabela to Manila, Dagupan City, Baguio City and other destinations. The Local Government Unit (LGU) inaugurated the Ilagan City Central Transport Terminal beside the Northstar Mall in Alibagu on November 28, 2011. Victory Liner and GV Florida Transport have terminals within the city that offers daily trips to Kamias, Quezon City and Sampaloc, Manila. PLDT and Digitel are the main Telecommunications service providers in Ilagan. They operate and maintain several telecommunications facilities and offices within the city. They offer various services such as telephony and broadband internet (DSL). Mobile network operators in Ilagan include Smart Communications, Globe Telecom, Sun Cellular, Talk 'N Text, Touch Mobile, and Red Mobile. Other companies providing various telecommunications services such as telegraph and fax services are PT&T, and RCPI now Universal Storefront Services Corporation. The city has a growing number of internet cafés which enables the public to surf, chat, and play online games. The majority of the country's Internet Service Providers (ISPs) are available in Ilagan such as Smart Broadband, Globe Tattoo, Sun Broadband, PLDT myDSL and Digitel. There are also wi-fi equipped establishments located in the city proper. Recently, cable TV provider Polaris Cable Vision is now offering broadband. The Philippine Postal Corporation (PhilPOst) is the major postal service provider in Ilagan. Express delivery services are provided by LBC, FedEx (Air21),JRS Express, and EMS (through PhilPost). Residences and establishments are able to get their energy needs through the service provided by the Isabela Electric Cooperative II, Inc. (ISELCO II). Its main office is located at Barangay Alibagu. Based on MPDO record, 63 out of 91 barangays are energized. As of 2011, Ilagan is now 100% energized. Also, a sub-station of National Grid Corporation of the Philippines (NGCP) is located in Barangay Baligatan. Ilagan is one of the few places in the Cagayan Valley Region that has a continuous freeway lighting system. The city government have managed to install incandescent highway lights along the national road from Barangay Alibagu in the south all the way to Barangay San Juan in the north. The Department of Energy (DOE) has approved on May 27, 2015 the service contract of the largest solar PV power plant in the Philippines. Cheap solar energy will be available for residents here soon after the proponents of the P7-billion solar power plant have already secured its funding. A twenty-five (25) year Service contract was signed between Living Project 4 People Philippines Inc. (LP4PP) and the Department of Energy. The signing will start the process of completion of development, installation, construction, commissioning and operation of a 100.0 MW Solar PV Project in the city. LP4PP said that the solar project will be constructed in 10 phases to install 10.0 MW for each phase that will start construction in August 2015. Accordingly, it is a pure solar PV Grid connected installation that will avail on the privileges under the Renewable Energy Law of the country. The renewable energy to be generated will be sold directly to the National Grid Corporation of the Philippines (NGCP) under the Feed-in-Tariff Scheme of the RE law. The 100.0 MW Solar PV project will help alleviate the current electricity shortage in the country that causes regular black-outs resulting in industry closures as well as inconvenience to the consumers. The solar power facility will be constructed at a 100-hectare land at Barangay Cabannungan, several kilometers away from the city proper. The City of Ilagan Water District (CIWD) is a government-owned and controlled corporation that is mandated to supply all the water needs of its concessionaires. It has managed to put up several pumping stations all throughout the city to cater the increasing demand of Ilagan's growing population and economy. Some residents and privately owned business entities have their own electric water pumps and some are able to put up their own traditional deep wells for their own water needs and irrigation systems specially those residents from far-flung barangays who are not able to avail the service provided by the water district. Its main office is located in Barangay Osmeña. Several water refilling stations have opened to serve as an alternative for the residents for their water needs. Also, the city government is continuously implementing solutions in line with the water and sewerage problems of the city such as the construction of deep wells in every barangay and the construction of drainages and canals in those area affected by floods during the rainy and stormy season. The Pasa Small Reservoir Irrigation Project (PSRIP), a $21.7 million project in Barangay Pasa, a joint undertaking between the South Korean government, through Korea International Cooperation Agency (Koica), and the Philippines, through the National Irrigation Administration and the local government of Isabela. The project entailed construction of a 34-meter high earth-filled dam across Pasa River, a reservoir with an active storage of 3.90 million cubic meters, with 5.93 kilometers of a main canal and 16.20 kilometers of lateral canals. According to authorities and government officials, the project is said to be under South Korea's five-year program under the East Asia Climate Change Partnership to address climate change and to bolster Green Growth in Asia. It was built to help mitigate floods with its small water impounding or catchment basin features aside from irrigating more farmlands in the province, the project is also aimed at reducing the impact of climate change and promoting water management in rural areas. The dam is expected to irrigate eight hundred (800) hectares of farmlands, covering the barangays of Pasa, Santa Victoria, Fuyo, Morado and Minabang, all within Ilagan City, and should benefit seven hundred forty seven (747) families in the province of Isabela. Also, the authorities added that the Pasa Dam project would further fortify Isabela as the country's leading agriculture province, which has kept the title as a top corn producer and second in rice production. Facilities in health services are distributed in the city. The city has three (3) health centers servicing the Ilagueños located in Barangay San Vicente, Barangay Marana 1st and an extension in Barangay Lullutan. There are also dozens of dental clinics, maternity and pediatric clinics, derma clinics and pharmacies around the city. On August 11, 2014, the City Government inaugurated a diagnostic center in San Antonio City Hospital. On August 11, 2015, the first ever LGU-operated Blood Station and Animal Bite Treatment Center in Cagayan Valley, accredited by the Department of Health were inaugurated to offer free services for the well being of llagueños. Overall, the city has two (2) public and two (2) private hospitals, fifteen (15) clinics and three (3) City Health Units. There are two (2) hospitals that are still under construction since 2016. Ilagan is the center of education in the province of Isabela especially for neighboring municipalities of Tumauini, Gamu, Burgos, Roxas, Quirino, Naguilian, Benito Soliven, San Mariano and Delfin Albano. There are (10) ten secondary public schools and (3) three other private secondary schools. There are also numerous elementary schools around Ilagan, while the most populated are located in the poblacion area. The local government also supports scholarship grants to deserving students for college degree programs. Provincial field offices of the different government agencies like the Technical Education and Skills Development Authority (TESDA) and Department of Education (DepEd) are all located in Ilagan. Ilagan has formerly (3) three districts namely: Ilagan East District, Ilagan West District and Ilagan South District when Ilagan was under the Division of Isabela, the mother school division. These districts has clusters of schools geographically located. The city has a total of eighty eight (88) elementary schools, ten (10) secondary high schools, six (6) integrated high schools and almost a dozen private schools from all levels. Silvestre Bello III - secretary of the Department of Labor and Employment. http://provinceofisabela.ph/index.php/80-articles/municipalities/100-the-city-of-ilagan Economic Profile of the City of Ilagan. Official website of the Province of Isabela. Retrieved 7 September 2014.
https://www.facebook.com/IlaganCity Official Facebook page of the City of Ilagan. Retrieved 8 September. http://www.gov.ph/2015/04/07/speech-of-president-aquino-at-the-inauguration-of-the-lullutan-bridge/ Official Gazette of the Republic of the Philippines. Retrieved 8 April. http://www.environmental-expert.com/news/philippines-largest-solar-power-plant-to-rise-in-ilagan-city-isabela-487156 Philippines’ Largest Solar Power Plant to Rise in Ilagan City, Isabela. Retrieved 14 June. ^ "List of Cities". PSGC Interactive. National Statistical Coordination Board. Archived from the original on July 6, 2016. Retrieved June 23, 2013. ^ "Ilagan is a first-class municipality in the province of Isabela". Retrieved 2013-06-18. ^ "Ilagan: Death of a Town, Rise of a City". Raymund Catindig. April 18, 2011. Retrieved 2012-03-11. ^ "Ilagan City Soon". NewsFlash.Org. December 31, 1997. Retrieved 2012-03-02. ^ "Rankings of Cities and Municipalities". National Competitiveness Council of the Philippines. August 2017. ^ "Land Area". TESDAISAT.Net Website. Archived from the original on 2012-07-18. Retrieved 2012-02-07. ^ "Ilagan, Isabela: Average Temperatures and Rainfall". World Weather Online. Retrieved 31 October 2015. ^ "Emerging Cities in the Philippines". Philippine-Islands.Net. Archived from the original on 2013-06-03. Retrieved 2012-02-07. ^ "DENR eases ECC processing for 16 firms". Manila Bulletin, MB.com.ph. December 20, 2010. Retrieved 2012-02-07. ^ "Biggest, Largest in the World". Txtmania.com. Retrieved 2012-02-07. ^ "Butaka City". TESDAISAT.Net. Archived from the original on 2012-07-18. Retrieved 2012-02-07. ^ "Biggest Butaka". Wikimapia.Org. Retrieved 2012-02-07. ^ "History and Culture of Ilagan". Official Website of the City of Ilagan. Retrieved 2019-01-27. ^ "Binallay Festival". Philippine Retirement Authority. Archived from the original on 2011-11-19. Retrieved 2012-02-07. ^ "Isabela's capital marks first charter day". PhilStar.com. Retrieved 23 August 2013. ^ "Mammangui Festival". Oh Philippines News. Archived from the original on 2012-11-10. Retrieved 2012-02-07. ^ "Balai na Ilagan". Philippine Daily Inquirer. March 26, 2012. Retrieved 2012-09-11. ^ "World's Largest Butaka". Department of Tourism – Region 02. Archived from the original on 16 December 2011. Retrieved 23 August 2013. ^ "Sports Complex". Panoramio.com. Retrieved 2012-02-07. ^ "Ilagan to host SEA Youth Athletics Championship and Philippine National Open Invitational Athletics Championship". Philstar. Retrieved 2017-03-12. ^ "Ilagan to host PATAFA games anew". Philippine Information Agency. Retrieved 2018-06-08. ^ "Ilagan to host 14th SEA Youth Athletics Championship and 2019 Philippine Athletics Championships". Singapore Athletics. Retrieved 2018-12-13. ^ "Ilagan City to host 2019 Batang Pinoy Luzon leg". batangpinoy.psc.gov.ph. Retrieved 2019-01-15. ^ "2019 Batang Pinoy Luzon leg". pia.gov.ph. Retrieved 2019-01-15. ^ "Ilagan Table Tennis Club". Pinoy Sports Central. Archived from the original on 2012-09-06. Retrieved 2012-02-07. ^ "Isabela Golf Course". Golf Philippines. Retrieved 2012-02-07. ^ "2016 Election Results: Representative, 1st District, Isabela". Retrieved 19 May 2016. ^ "2016 Election Results: Councilor, Ilagan City, Isabela". ph.rappler.com. Retrieved 19 May 2016. ^ "2016 Election Results: Vice Mayor, Ilagan City, Isabela". ph.rappler.com. Retrieved 19 May 2016. ^ "2016 Election Results: Mayor, Ilagan City, Isabela". ph.rappler.com. Retrieved 19 May 2016. ^ "Barangays of Ilagan City, Isabela". cityofilagan.gov.ph. Retrieved 17 March 2019. ^ "Total Population by Province, City, Municipality and Barangay: as of May 1, 2010" (PDF). 2010 Census of Population and Housing. Philippine Statistics Authority. Archived from the original (PDF) on 14 November 2013. Retrieved 9 January 2014. ^ "NSCB Philippine Standard Geographic Code". National Statistical Coordination Board. March 31, 2012. Retrieved 2012-06-07. ^ "2010 Barangay & SK Elections". Commission on Elections. Retrieved June 18, 2013. ^ "Ilagan-Divilacan Road". DPWH Region 02. June 1, 2011. Archived from the original on 2012-08-05. Retrieved 2012-03-02. ^ "Cagayan, Isabela residents warned of higher floods". Move.PH /Rappler. 16 October 2016. Retrieved 16 October 2016. ^ "DPWH completes P700-M bridge in Isabela". GOVPH. January 23, 2015. Retrieved 26 January 2015. ^ "P2.3-B Isabela road link completed soon". The Manila Times. January 4, 2018. Retrieved 5 October 2018. ^ "Philippine Postal Corporation". Philippine Postal Corporation. Archived from the original on 2012-01-09. Retrieved 2012-02-07. ^ "JRS Express". JRS Express website. Archived from the original on 2012-02-12. Retrieved 2012-02-07. ^ "ISELCO II". Energy Regulatory Commission. Archived from the original on 2009-01-07. Retrieved 2012-02-07. ^ "$21.7M Korea-funded dam to reduce Isabela flooding". The Manila Times. Retrieved 27 December 2015. ^ "Groundbreaking Ceremony – Ilagan City Hospital". cityofilagan.gov.ph. Retrieved 11 August 2018. ^ "Groundbreaking of the CitiMed of Ilagan". Official Facebook Page of Ilagan City, Isabela. Retrieved 4 September 2016. ^ "Isabela State University Ilagan Campus". Isabela State University Ilagan Campus website. Retrieved 2012-02-07. ^ "Isabela education official named OIC Dep-Ed Ilagan". Philippine Information Agency. January 25, 2013. Archived from the original on 1 November 2013. Retrieved 30 October 2013. Wikivoyage has a travel guide for Ilagan. Wikimedia Commons has media related to Ilagan, Isabela.